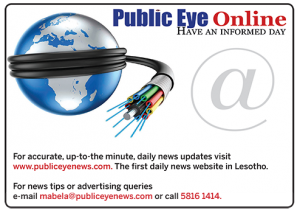 MASERU – The moment of truth has come as the big guns scramble for this year’s Lesotho National Insurance Group (LNIG) Top 8 title with the semi-finals and final set for this weekend at Setsoto Stadium. In-form defending champions Matlama face the highly unpredictable LCS, while Bantu take on the crafty soldiers (LDF). Both matches are scheduled for tomorrow. Favourites, Matlama are tipped to win the trophy back-to-back after breaking an eight-year medal drought when they snatched the cup last year. 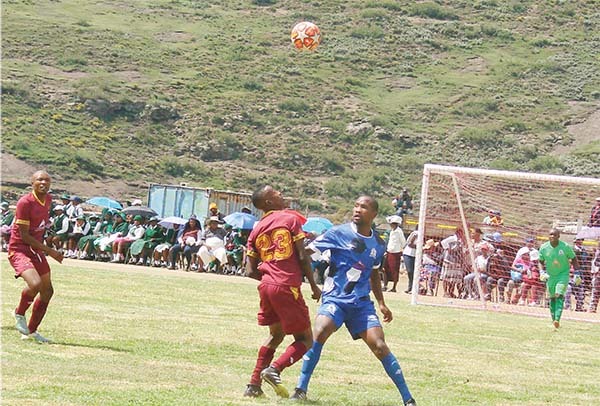 Tse Putsoa currently enjoy a monopoly of a good run in the Econet Premier League which gives them a chance to remain Lesotho’s most decorated champions with 11 league titles. The Sea-Point outfit has also just won the MGC Soccer Spectacular cup a fortnight ago, proving that their evident supremacy over the league is not a fluke. However, Bantu are likely to spoil Tse Putsoa’s anticipated weekend victory and go all the way to win the coveted trophy. This is because A Mats’o Matebele are hungrier to get the trophy than Matlama as their chances of defending the league title became slimmer after last Saturday’s 2-1 thrashing at the hands of the police (LMPS). “We lost last week but that is all in the past, and we cannot change it. Now what we need to do is focus on the upcoming games,” said Bantu head coach James Madidilane in an interview with Public Eye on Wednesday this week. Both Matlama and Bantu, however, have to prevail over LDF and LCS respectively to set up a dream final on Sunday. Both LCS and LDF might be the underdogs going to the Top 8 semi-finals and this is what is going to be most interesting about the two semi-final encounters. The two state-organ sides last won competitive top-flight trophies some years ago, including the Top 8 tournament. The fact that their names have not been in the headlines in recent times might prompt them to come out with guns smoking yearning for a kill to restore their reputation. The two used to be most dominant forces in the domestic league until their light was turned off by other teams which perhaps copied and learnt how to master what they had been doing right. Madidilane can attest to that. LDF head coach Motheo ‘Six to Six’ Mohapi, however, sounded positive about the match. Mohapi said he was a bit worried about Bantu after last weekend’s results. Last Saturday LDF beat Lioli 2-1 in a league match, on the same date and venue (Setsoto Stadium), while Bantu went down with the same margin to LMPS. 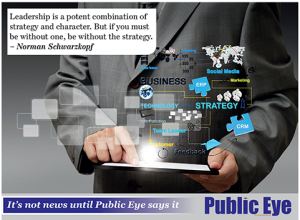 “All I can say is that we are prepared to win that match at any cost,” Mohapi said. Mohapi was quick to add that the spirit in the LDF camp is electrifying like usual. He described his charges as a bunch of youthful players who are hungry for success. Back to the LCS/Matlama game, Tse Putsoa have just beaten the prison warders 3-2 to book a place in the MGC Soccer Spectacular. But what is more fascinating about the LCS/Matlama match this time around is the fact that the two currently top the Econet Premier League. Tse Putsoa still sit on pole position while LCS are second placed after they jumped from fourth position. Masheshena, as LCS are popularly known, qualified for the Top 8 semi-finals at the expense of Lioli with a 2-1 goal aggregate. This was after Lioli won the first leg quarter-final encounter 1-0 but LCS managed to come back in the second led with a 2-0 win. “Our determination is to win the Top 8 cup, no matter who we are up against. But it is not going to be a walk in the park, especially now that we face current log leaders,” said LCS coach Mpitsa Marai, who is also the senior national team (Likuena) assistant coach. Matlama coach Thabile Secker admitted that LCS are tough opponents who should not be taken for granted. He said although they have just won the MGC Soccer Spectacular and a league match (3-0) over beleaguered Swallows last Sunday, they still have a lot of groundwork to cover if they want to contain the prison warders tomorrow. The Matlama mentor said his charges still need to put in more effort against their LCS opponents tomorrow, adding they have to remember that the encounter is a cup game. Secker is a former LCS player and played alongside the team’s current head coach, Marai.